1If you have an external card reader, attach it to your computer by using a USB cable. Your computer should instantly recognize the card. 2Insert a memory card into the card reader. Again, your computer will notice the card reader and make the files (photos) available. 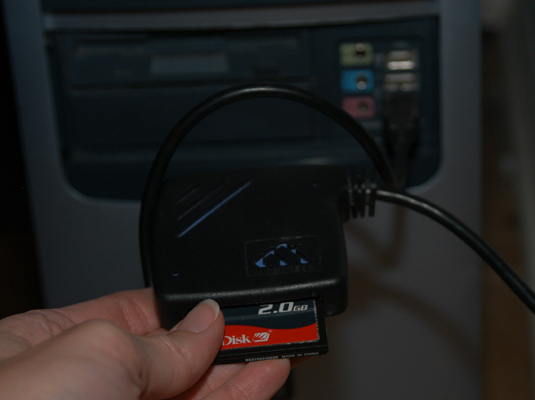 3Open your computer’s main system folder, then open the card reader’s drive. 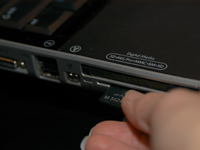 This figure shows a Windows computer system folder, including a card reader. You can also simply drag the files to your computer’s desktop. 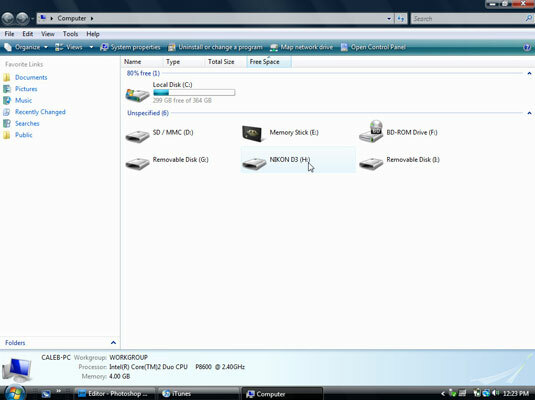 5Drag and drop the image files in the reader’s folder to your computer’s hard drive. 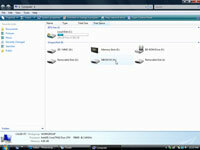 You can place the files either in the folder you opened or on the desktop.